Suardita Silver is one of manufacturers and wholesalers gold and silver smith jewelry in Gianyar that has various kind of sterling silver jewelry. It carry only the best quality and authentic Bali sterling expressed from its design, style and also material. Many item from Indonesia silver harmony balls, chains, bangles, beads, body piercing, bracelets, brooches, earrings, jewelry sets, necklaces, pendants, rings, rosaries made of from tiaras, gold, silver, stone, beads, bronze, platinum, pewter, tin and other Bali jewelry at unbeatable wholesale prices and handmade by artisans in Bali and exceptional in detail and quality. Custom orders are also welcome, and customer’s requests are carefully taken into consideration in details. 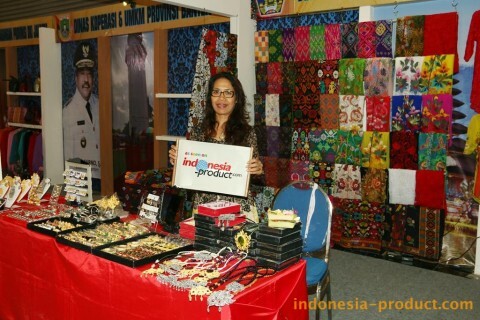 Besides on that, this gallery provides kebaya fabric and cloth original from Bali. So, get the collections of great fashion finding from Indonesia in gallery.